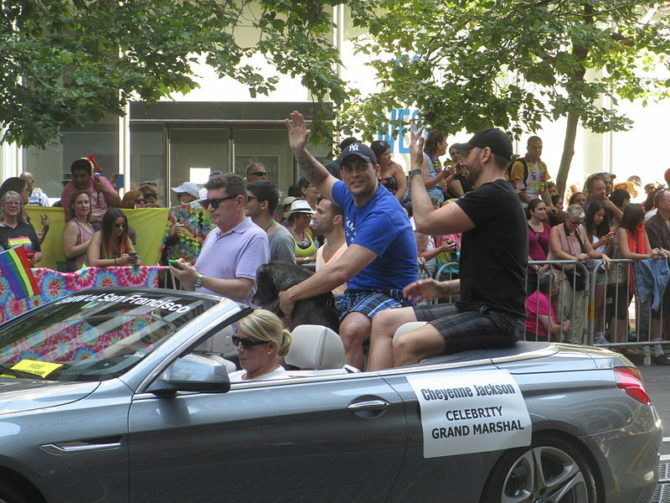 In recent years, a number of said celebrities have come out to Pride festivals to take part in the celebration of love and equality. Noted drag star, Emmy-winner and activist speaks at Washington D.C. Pride. 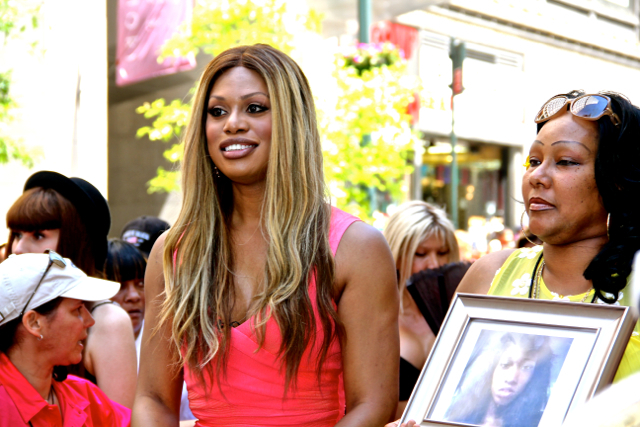 RuPaul has been an LGBT rights advocate since the 1990s. 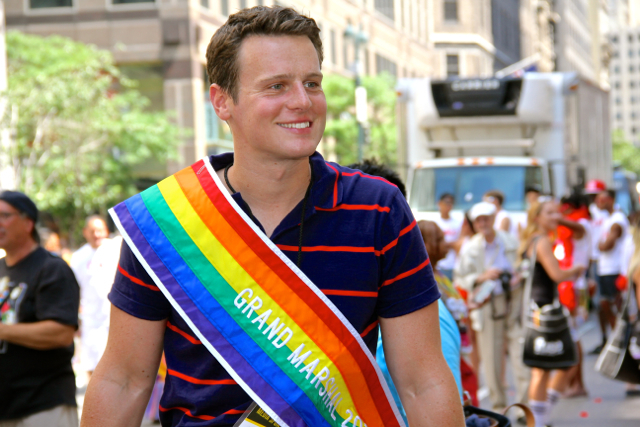 Broadway actor, star of Looking and Mindhunter serves as Grand Marshall at New York Pride. First ever transgender Emmy-nominee, transgender rights activist, and fashionista at New York Pride. 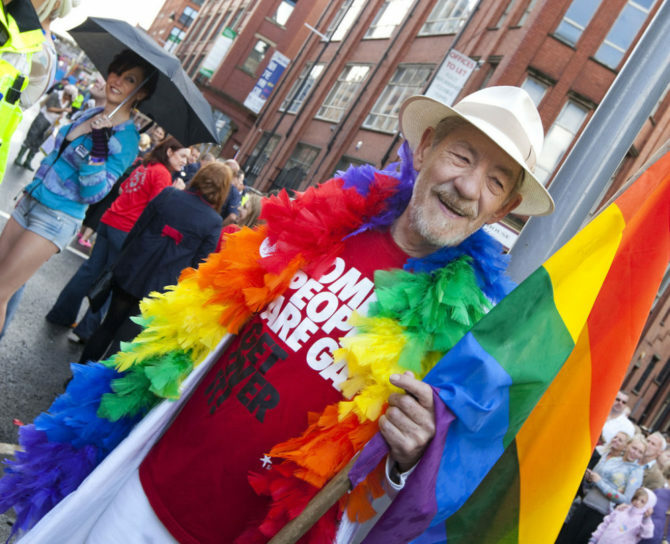 Stage actor, Oscar nominee, icon and longtime activist celebrating Pride in London. McKellen was the first openly gay man to receive a knighthood. 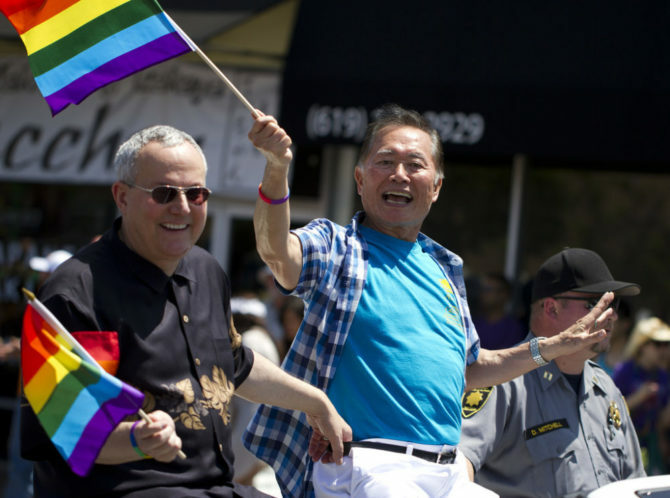 Actor and outspoken activist for marriage equality celebrating Pride with his husband in Los Angeles. 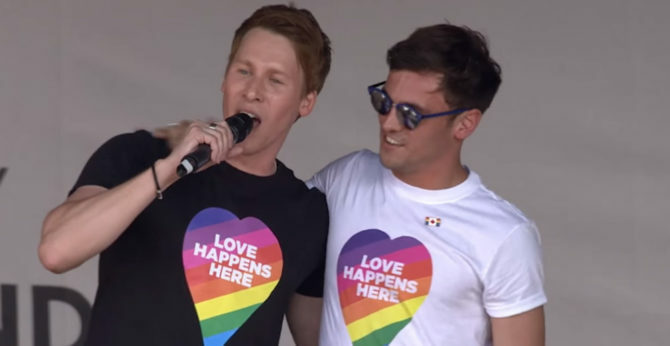 Oscar-winning writer and Olympic diver–both marriage equality activists–deliver a special address at London Pride. Star of American Crime Story and Glee hanging out at New York Pride. Criss has championed The Trevor Project. Stage star and grand marshal at San Francisco Pride. Oscar-nominated actress celebrating at New York Pride. Former mayors of San Francisco and Los Angeles, respectively, celebrating Los Angeles Pride. Ok, they’re both straight. But wouldn’t it be nice? And another thing…who are the dudes with them? Doesn’t she look like she’s having a blast? No doubt her White House would have had some rainbows on it, rather than making it into the swampy cesspool of glowering and corruption its current occupant has built. Nice pictures, thanks QUEERTY. 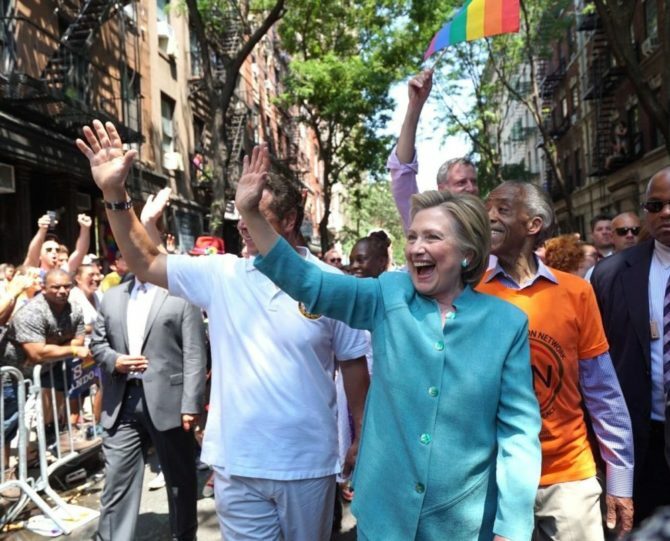 One query: isn’t that Al Sharpton to Hillary’s left? He’s a neat guy, I miss his show on MSNBC simply because it comes on here west coast at 5 am Sunday and there is no 5 am Sunday (morning). Even a pot of coffee and a bloody mary couldn’t rouse me at that unholy hour. Still, Sharpton gets little credit for his work on civil and human and LGBT rights. Credit where credit is due, that’s my point. Happy Pride celebration to all! Happy to add that Gus Kenworthy was the Grand Marshal of the CNY pride parade in Syracuse NY 2 weeks ago. I’d rather look at the conjoined twins link at the bottom of the page than a picture of Hillz at gay pride. In her heart, does she give two craps about us beyond our votes? Love the two mayors at Pride picture. Two straight guys should be able to appreciate some man candy, right? All in fun. My older sister and Hillary Rodham were classmates and good friends at Wellesley College. I’ll never forget Hillary’s incendiary speech at their graduation in 1969. I happen to know that Hillary has very deep pro-gay feelings, that it’s certainly not merely a matter of vote-getting. Sometimes I think gay men (myself included) are too eager to bite the hands that feed us, support us, and nourish us. There is such deep-seated self-denigration involved in being gay in American culture, and it rears its ugly head far more often than we would like. Amen! Any story such as this that places a positive light on the subject matter shouldn’t become a political platform. I am sure there are SEVERAL other sites for that rhetoric. Thank you for saying so, GourmetGuy.